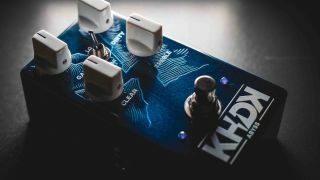 SUMMER NAMM 2017: Kirk Hammett’s KHDK Electronics has branched out into the low-end with its first bass stompbox, the Abyss bass overdrive. Three years in the making, the Abyss offers dirty and clean channel volumes for precision blending akin to utilising two amps. Other controls include gain and treble knobs, plus a lo/hi gain toggle switch. 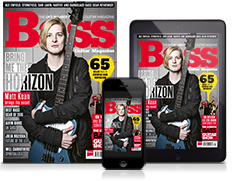 The pedal has already won big-name fans in the form of Slipknot’s Alessandro Venturell, who demos the pedal above, as well as Tool’s Justin Chancellor, Anthrax’s Frank Bello and Gojira’s Jean-Michel Labadie. The Abyss will be out later this year, with its price tag yet to be confirmed - see KHDK Electronics for more info.